As a mother, I know that most of us start our days at ungodly hours, accomplishing tasks with only seconds to spare. We do unpleasant things like making lunches, getting kids dressed, and going to our children’s school or bus stop, where we will see many people when we don’t necessarily want to be seen. With so few minutes to get things done in the a.m., it doesn’t surprise me that many fellow moms claim they rarely wear makeup because they don’t have time in the morning. They will knowingly say “I have kids,” as if this explains why they have to leave their home bare-faced. Well, I’m also a makeup artist, and I’m here to tell you that being a mother doesn’t exempt you from carving out just five minutes in the morning for some self-care. A little makeup can go a long way when you have to present yourself to the world — even when you are a busy mom. That’s why I’ve created a foolproof, five-minute makeup application to live by. With this routine, I am even giving you a spare 30 seconds to ensure you can complete your flawless look in 5 minutes or less, so set that alarm allowing for extra time in the morning. No excuses! It would be irresponsible of me to tell you that you can skip this step. No matter how tired or stressed you are, you can take 60 seconds out of your life to slap on some cream or serum, or both. If you are in a rush, maybe you shouldn’t do the 10-minute skincare routine you would enjoy at night before bed, but you should pick one or two products and use them daily! Clients that come to me for makeup are quick to breeze over the skincare discussion because they think it’s not as important as makeup. This is not true. No makeup — no matter how exquisite, perfectly applied, or expensive it is — will look good on dull, dehydrated skin. Maureen Chrysoulakis, a mother and a busy executive for AIG, travels frequently for work and often finds herself crunched for time in the morning. “I never, ever leave the house without skincare,” Chrysoulakis explains. “I use serum and moisturizer every day before I apply makeup. It takes an extra minute, but at 53, I cannot afford to skip any skincare!” Remember, loss of sleep, stress, age, and hormonal changes can all wreak havoc on mothers’ skin, so it is important to be strict with yourself about getting this step done. Primer is a product that most people skip, as they think it’s pointless. However, I always tell clients if they are going to take time in the morning to apply makeup at all, take 10 seconds to apply primer. That way, you can ensure that everything will still be there by lunchtime. Primer also smooths out fine lines and pores, creating an illusion of flawless skin. It’s essential that you choose a primer formula that works best with your skin type, whether that’s dry, oily, normal, or combination. Smashbox® Photo Finish Foundation Primer ($36) is a cult favorite that has been the best-selling primer for decades, and comes in several formulas to suit every skin need. In 10 seconds or less, a nickel-size amount can be swiped over the face with your fingers to begin your perfect look that will last all day. By the time you put the primer away and grab your foundation, your primed skin should be dry enough for next steps. There is one foundation product on the market right now that I love and have found suits every woman. IT Cosmetics™ Bye Bye Foundation Full Coverage Moisturizer™ ($40) is a full-coverage tinted moisturizer that can be applied with fingers or a brush for even natural skin tone. It comes in 12 shades, provides SPF 50, and will leave skin looking and feeling hydrated and dewy. You might have other foundations that you use for date night or work, but a quick, full coverage formula in an easy-to-use tube like this one is a great choice for busy morning routines. If there is one step that makes the most difference when it comes to looking awake and alive, it’s undereye concealer. 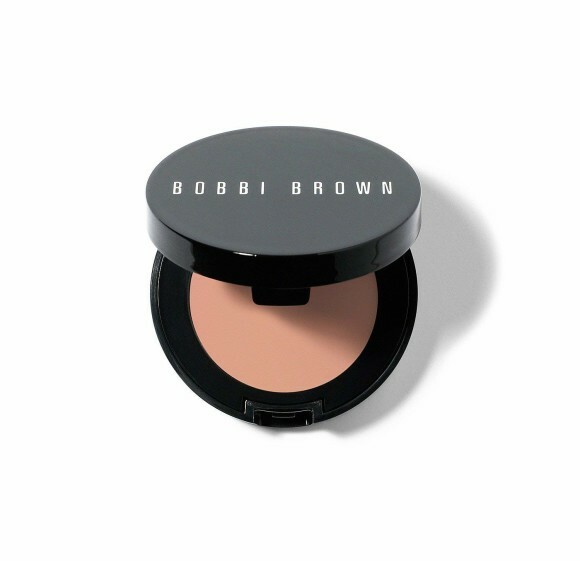 When you have just 30 seconds, Bobbi Brown® Corrector ($28) is wonderful. It’s offered in 19 peach- and pink-based tones, created solely for the instant correction of the purple and blue hues of dark circles. Creamy concealers on a wand or thicker sticks can require brushes to blend and can get messy. The beauty of this product is that it’s in a pot, so your fingers can get the job done with minimal work. An added plus is the waterproof, sweat-resistant formula, making it ideal for those that apply makeup in the wee hours of the morning and expect it to last the day. As a makeup artist, I like to use bronzer, blush and highlighter on my clients for the best cheek look. But when time is of the essence, women find it easier to just choose one product to add color and contour to the cheek bones. There are no rules when choosing what your go-to product is, but when you’re aiming to look healthy and fresh, a traditional blush will always do the trick, when aiming to look healthy and fresh. 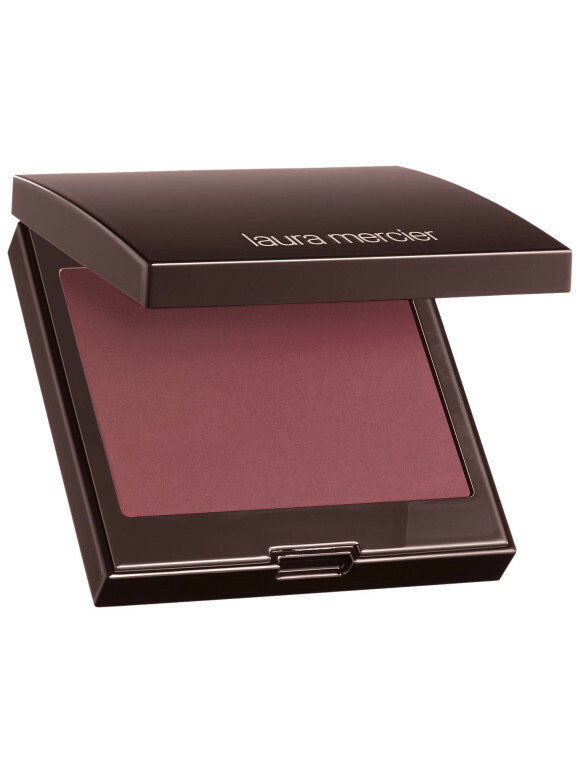 The brand Laura Mercier® introduced a line of new longwearing blushes, Blush Colour Infusion ($30), for Fall 2018 that are absolutely gorgeous. The micro-fine powders that make up this 10 hour-wear blush allow users to apply soft, sheer, buildable layers. This makes the product ideal for that subtle pop of color for the morning school drop-off line, and then can be added to for that work or “ladies-who-lunch” look. Take note that this is your only step that requires a brush! There’s very little time for labor-intensive eye looks when you are on the go, so the quickest option that makes the most difference is mascara. If you only have the precious time for one coat, hoose a thickening and lengthening formula so that you will get the most luscious lashes quickly. 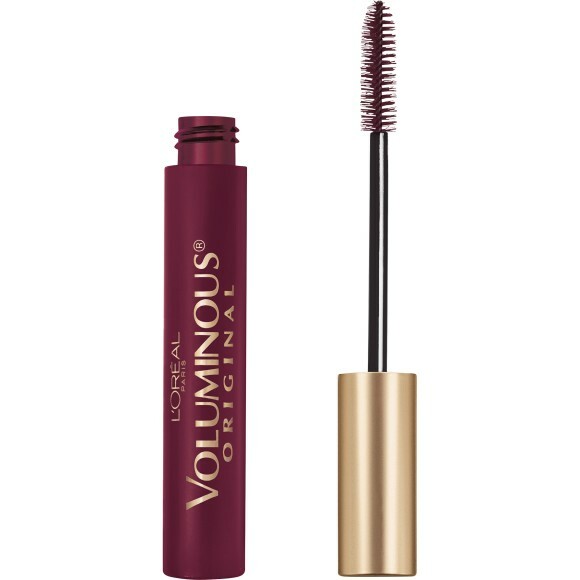 Lisa SanMartino, a mother of four children, swears by a coat of L’Oréal® Paris Voluminous® Mascara ($6) in the burgundy shade. A bonus of this product is that it’s available in a waterproof formula. That means you won’t find yourself picking up the kids in the afternoon with smudged or flaking mascara, signaling to the world that you are tired and overwhelmed. Just like applying primer is an important first step, using a product to set your makeup is a very important last step. I find that a setting spray is a great way to start your day, as it will set your makeup while simultaneously offering skincare benefits when the right formula is chosen. 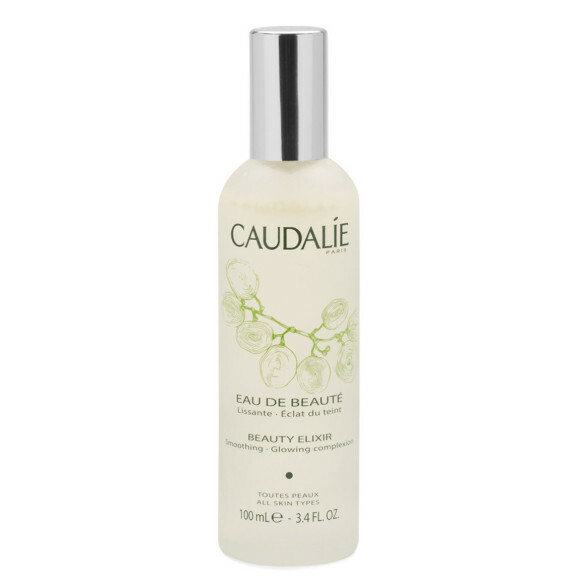 My absolute favorite is the Caudalie® Beauty Elixir ($49). This cult favorite among makeup artists smells and feels luxurious on the skin as a setting spray, but can also be used throughout the day for an instant boost of radiance. If your skin tends to be dry, it is important to choose a setting spray that will add hydration to the skin and not take it away — and as many sprays contain large amounts of alcohol, this is a real possibility. The Caudalie product fits the bill for all skin types as it works to tighten the look of pores and skin with a plant-based formula. This shouldn’t even take a whole 20 seconds, but it’s a great finishing touch. Choose something buttery and hydrating that will double as a treatment — or at the very least not dry out your just-woke-up morning lips. 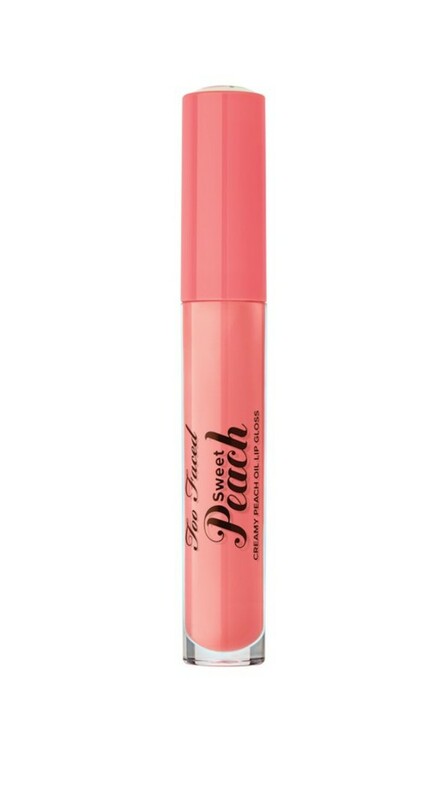 I am obsessed with Too Faced® Sweet Peach Creamy Peach Oil Lip Gloss ($19). This product comes in multiple hues and I love them all, but keep finding myself reaching for the “Pure Peach” shade (a creamy coral). With coconut oil, vitamin E, and peach essence infused into the formula, it smells and tastes delicious, while adding just the right amount of color and shine.